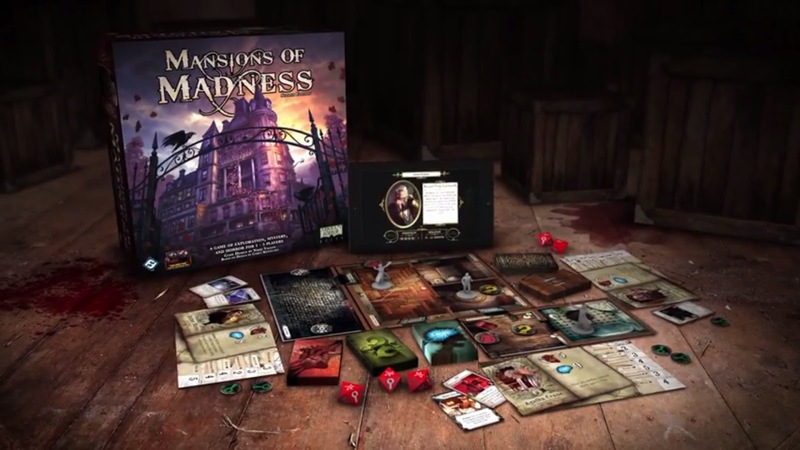 Update 2: According to a tweet from Esdevium, Mansions of Madness Second Edition will be available in the UK on 4th August! 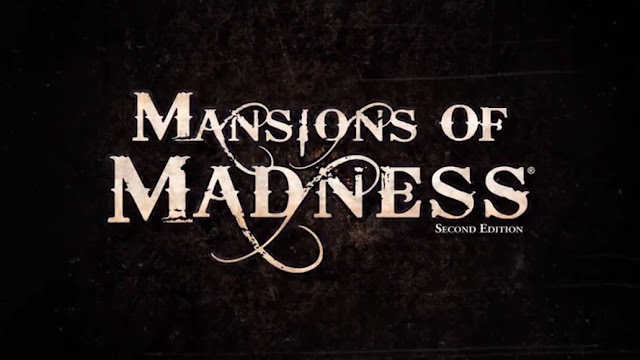 Original Article: As I’m writing this there is no news on the Fantasy Flight Games website, but via YouTube the gaming company have announced a second edition of Mansion of Madness, and it’s rather different from the first. Mansions of Madness was always a game plagued with, well madness. The original version of the game suffered from many production problems, such as badly written rules, errors on cards and scenarios that where actually impossible – like positioning a key on the wrong side of a locked door. It was also a game that felt a bit miserly with only 5 scenarios in the main box. As a fan of the game I was always looking for something a little more. Well it looks like Fantasy Flight Games have answered my wishes as they have announced via YouTube a second edition of the game. There are new miniatures, new board tiles, new dice but most importantly of all the game is app driven. Fantasy Flight Games have been paving the way with app driven games, first off was XCOM, which I believe worked really well. Recently they have released an add-on app for Descent in the form of Road to Legend, which allows you to play the game as a full cooperative experience, without the need for an Overlord. 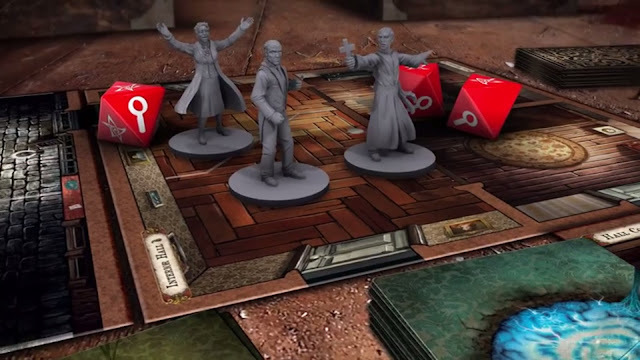 It looks like Mansions of Madness will take this a step further, a move I applaud as being the villain in the original Mansions of Madness wasn’t as much fun as being the Overlord in Descent or the Empire in Imperial Assault. Other than the app and some new artwork, it looks like there are a new group of investigators, which players of Eldritch Horror will already be aware of, but our old friends the combat decks and health and sanity appear to be present. Its pure speculation, but I think we will see Mansions of Madness Second Edition released and available to buy – possibly in limited numbers – at GenCon.